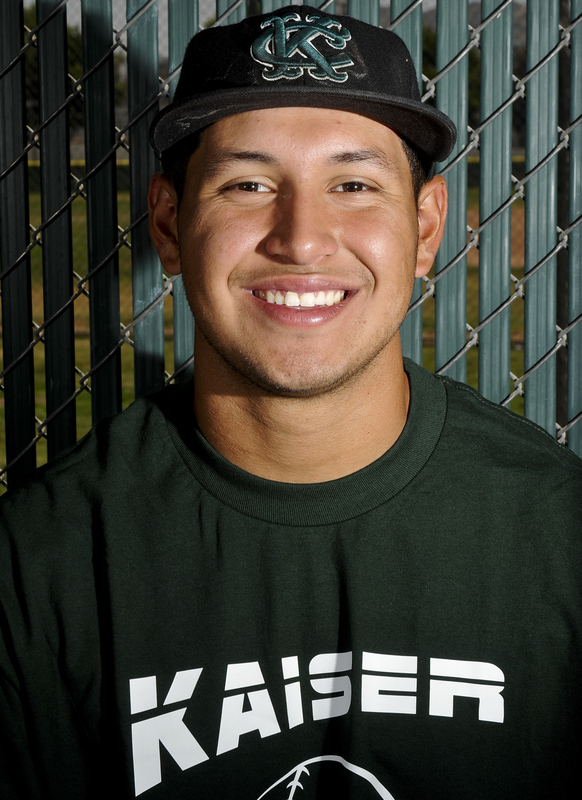 Kaiser’s Ryan Mota verbally committed to San Diego State on Tuesday, according to Kaiser baseball coach Mike Spinuzzi. The 6-foot-3 pitcher, who will be a senior next season, chose the Aztecs over offers from Washington, Hawaii and Long Island University. 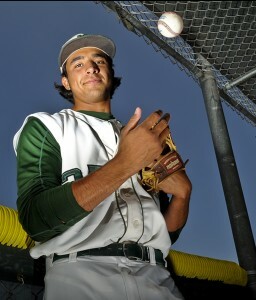 As a junior Mota went 9-2 with a 2.05 earned-run average for the Sunkist League champions. He pitched three complete games, had 56 strikeouts and 16 walks in 58 innings. Mota, who also played first base, hit .354 with 28 RBIs and 23 runs scored in 28 games in helping Kaiser to a 25-5 overall record and the No. 2 seed in the Division 4 playoffs last season. 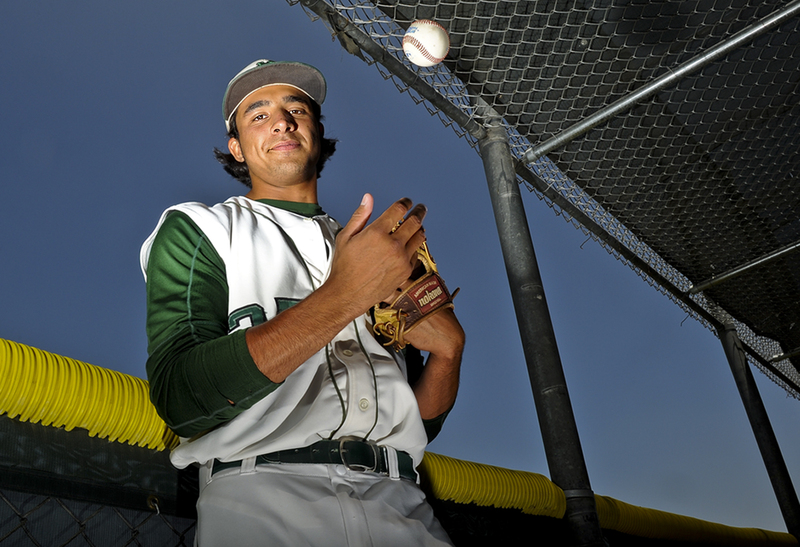 There were two distinct sides to be taken in the debate over the Sunkist League baseball MVP. The pitching side: a 9-0 record, 0.95 ERA, six complete games, 114 strikeouts and just 12 walks in just 74 innings. And the offensive side: .455 batting average, three home runs, 41 RBIs and 29 runs scored in 28 games with a .518 on-base percentage. Of course, both sides belonged to junior Chris Mathewson of league champion Kaiser. Needless to say, it wasn’t much of a debate. Thursday’s 1-5 record doesn’t do justice to the heartbreak felt by local softball teams in Thursday’s quarterfinals. San Dimas lost in extra innings, Ayala (pictured above) coughed up a final-inning two-run lead and Kaiser’s eight-run second inning wasn’t enough in a 15-9 loss. Defending CIF champion Chino was the lone survivor thanks to the Division 2 No. 3 seed’s 10-0 win over Dana Hills. Fellow defending CIF champ Pomona Catholic is still alive in Division 6, but won’t play until Friday after its expected opponent today, Indio Shadow Hills, was removed from the playoffs for taking illegal batting practice. Etiwanda’s team of nine freshman ousted the No. 3 seed on the way to the quarterfinals, but the lone local in Division 1 couldn’t get past Yorba Linda. Ayala, the fourth-place team from the Sierra League that ended the season of Division 2 No. 1 seed Mission Viejo on Tuesday, had a 3-1 lead entering the final inning of an error-marred 5-3 loss to Long Beach Millikan. Chino Hills, another defending CIF champ, was hoping for an all-Sierra League semifinal with Ayala but struck out 11 times in a 2-0 loss to Lakewood ace Janelle Hayes.